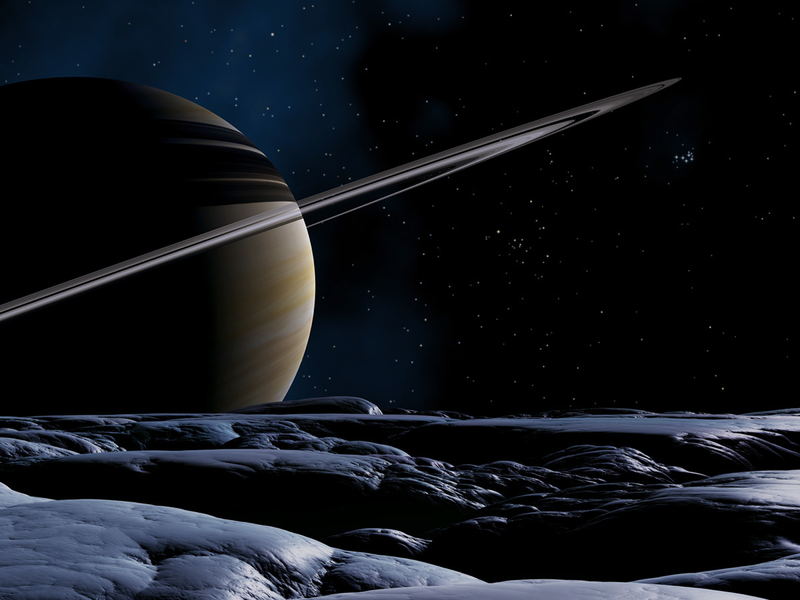 "The ring planet Saturn seen from the surface of its moon Tethys. Dimension: 10000 x 7500 px, 300 dpi. I combined the two renderings in Photoshop CS and adjusted the colors. Maybe I will add some ´hardware´ to the scene, later!"